The Giants next, and I’m very small, because that’s where we were when I was very small. Just an hour away from Willie Mays. The Twins come next, reminding me of teenaging, because there we were when I was teened. Twins games on a North Dakota radio station, while my dad waited for the forecast that would tell him if the thunderstorm from the west would bring crop-killing hail. And, finally then, the Orioles remind me of being young and fresh at a new job, in a new city, with the whole world and countless years ahead, wide open for the picking. A single game today can take me to all those yesterday places. It’s a different world inside a ballpark. It’s like being in a snowglobe. Without the snow, of course. I love how every time I post about my baseball memories on here, people post their memories, too. And, I love how they all float together in that wonderful baseball snowglobe. Because, things move on and change, that’s what they do. And, the players that fill the rosters of your nearby summer team — college leagues and Legion ball — won’t be there forever, and, in some cases, won’t be there long. Their dreams are somewhere else tonight while you sit in the bleachers remembering whatever it is that you remember. But, maybe, many years from now, one or two of those players will look back on a summer night at a tiny Charlottesville ballpark – where, by some witchery, a cool breeze always wafts through the stands no matter how hot the day has been – and maybe they’ll remember a game that they played here once. In response to the photo challenge: Delta – symbolizing transition, change, and the passage of time. For more photos from this WordPress challenge, click here. 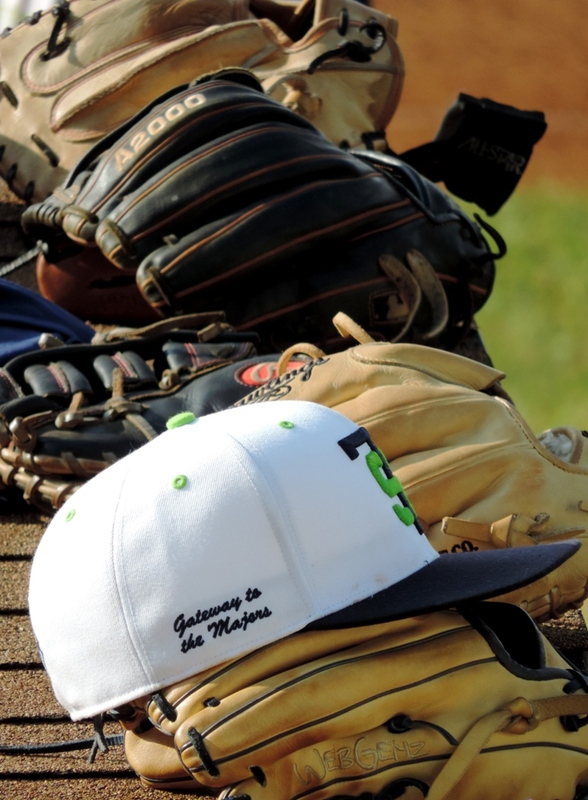 This entry was posted in Baseball, Life and tagged Charlottesville, college baseball, photography, Tom Sox, Weekly Photo Challenge by Jackie, The Baseball Bloggess. Bookmark the permalink. Well, that made me a little teary. It’s so true, and it goes a long way toward explaining why I feel so angry, whenever someone talks about “speeding up the game”, because “nothing is happening” and “it takes so long”. I’m almost a little nervous about how much the game of baseball- the IDEA of baseball- has come to mean to me. I’m not a religious man, but I believe in the Baseball Gods. I know that they despise hubris, and forgive brush-back pitches, and- against all odds- I believe that the Giants will end the season with an over .500 average, IF I wear my Giants cap every day. Thanks, again, for saying, so well, what I feel. I agree, very nostalgic. My dad wasn’t a big sports fan, my mom wasn’t either. But mom went to almost all my little league games (she worked nights as a nurse), and let me skip school a few times to see spring training games in Florida. She was my liaison with Ed Kranepool of the Mets one spring (long story), and that’s who my blog is named for. My grandparents would listen to Braves games on the radio when we went camping. Then later, with cable, they would watch them on the Superstation, TBS. Lots of great old memories. Thanks!! Thanks Greg. Have you told your Ed Kranepool story on your blog? I love when people share their baseball memories — all our memories floating together in that baseball snowglobe. This is really terrific Jackie. Your story is wonderfully done and the photo is great. Beautiful poetry, this. You made my heart ache for bitter-sweet memories and baseball. Your words make baseball seem like pure poetry. So lovely. I was fortunate to have both parents love baseball. My mom and I would play solitaire on the floor with Cardinals on the radio. Dad had it on the radio outside. The changes…I don’t think it sped up the game, seems to me they run longer. Loved your words…very well done! It is a true bond to this day w my family as well as my siblings and mom. Thank you, Sharon. Yes, I love how baseball can connect — and re-connect — family and friends.